Faith -- But As For Me and Family, We Will Serve God! Joshua was the very leader who successfully led the Israelites into the Promised Land. Under the leadership of Moses, Joshua and the people of his generation had a chance to get into the land, but they were scared in fear of the people already occupied the Promised Land. In the land, they saw the strong people lived in the fortified cities surrounded by the wall reaching heavens. Even the formidable giants, who never defeated, lived in the land. For them, it was suicidal to go into the land ad to occupy the land. They were just bunch of ex-slaves just released from Egypt. Yes, it was impossible to occupy the land although it was promised by God. They complained to God. God had to send back the entire generation to the wilderness. While wondering the wilderness, all of the unbelieving generation perished due to their disobedience. Thirty-nine years later, Joshua came back with the new generation of Israel who was born in the wilderness. Joshua returned the same place, and the situation was not changed. 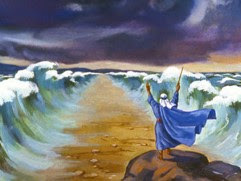 The insurmountable impossibility was still waiting for Joshua and the new generation of Israel. Taking over the Promised Land was impossible because the stronger people and the fearful giants were still living in the land. Only was the difference the obedient new generation in faith. Under the leadership of Joshua, they walked into the land, not because they were stronger than the older generation, but because they quietly followed the faithful servant of Joshua. Joshua always put God first and followed God, the LORD. Then the entire new generation followed Joshua. When they actually arrived at the banks of the Jordan River, it was the harvest season, and the Jordan was overflowing its banks. 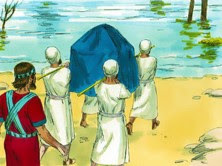 Joshua instructed them, “When you see the Levitical priests carrying the Ark of the Covenant of the LORD your God, move out from your positions and follow them. Since you have never traveled this way before, they will guide you.” Yes, the Israelites had never crossed the Jordan River before, and indeed, the Promised Land was on the other side crossing the river. 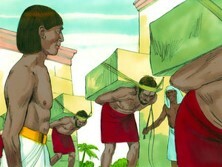 The priests who were carrying the Ark of the Covenant went ahead of the Israelites. 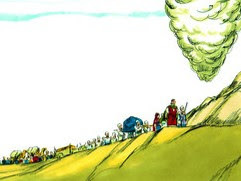 As soon as the feet of the priests who were carrying the Ark touched the water at the river’s edge, the water above that point began backing up a great distance away. And the water below that point flowed on to the Dead Sea until the riverbed was dry. Then all the people crossed over to the Promised Land. Finally, they stepped in the Promised Land, but the reality hit. They found that they were surrounded by the strong people. 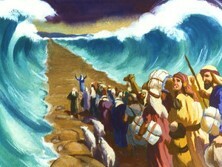 Jericho was right next to them, which was big, strong and well protected by the wall reaching to heavens. What would be the first thing that would you do? Yes, an ordinary leader would organize the people to protect against the stronger people, and plan how to attack the first city – Jericho. Joshua was different. He was absolutely obedient to God. Following God’s command, he called the people and tell them to be circumcised. In fact, none of the new generation was circumcised because they were born in the wilderness while wondering in the wilderness for forty years. All the males had been circumcised, and they had to rest in the camp until they were healed. It was the most stupid thing that any person would do. 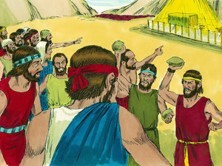 While waiting for healing, nobody could defend the Israelites. They were surrounded by the stronger enemies, and they practically disabled themselves to follow God’s command. Joshua was faithful to God, and the people was also. Then following God’s command, they just circled the wall of Jericho for seven days. On the seventh day, at the shout of the Israelites in faith, the strong wall collapsed. It was not the Israelites, but God destroyed the wall by His almighty power. Yes, God fought for the Israelites, who were faithful to Him. However, Joshua was not perfect. Soon, he sinned twice before God, and learned hard lessons. He took the matters into his own hands without asking God first. He attacked Ai, which was far smaller than Jericho with confidence. He sent few, but they were utterly defeated. He humbled and God helped. He defeated Ai. 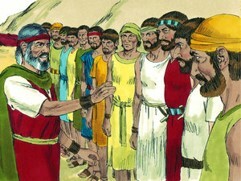 Soon after this lesson, Joshua accepted Gibeonites and made treaty without asking God first. He was being deceived, but he did not know. After he realized this deception, he humbled again before God. Then Joshua never forgot God. He asked God first by humbling himself before God. For the rest of his life, he continuously led the people of Israel with humility and courage while faithfully following God with all his heart. Under the leadership of Joshua, the people of Israel increasingly expanded their territories. In the middle of this expansion, the formidable giants were defeated, and many kings and cities fell before the Israelites. However, the God’s promise was yet to be fulfilled. Joshua became old and about to return to God. 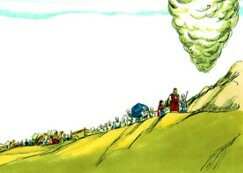 So far, about 1/3 of the Promised Land was occupied by the Israelites. The 2/3 of the land were still waiting for the Israelites to be conquered. Joshua, who was now very old, called together all the elders, leaders, judges, and officers of Israel. Joshua, who was a man of faith against many kinds of impossibilities, shared his faith with the entire Israelites before he returned to God. Long ago your ancestors, including Terah, the father of Abraham and Nahor, lived beyond the Euphrates River, and they worshiped other gods. But I took your ancestor Abraham from the land beyond the Euphrates and led him into the land of Canaan. I gave him many descendants through his son Isaac. To Isaac I gave Jacob and Esau. To Esau I gave the mountains of Seir, while Jacob and his children went down into Egypt. brought you out as a free people. 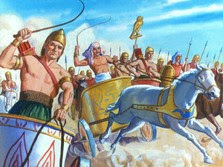 But when your ancestors arrived at the Red Sea, the Egyptians chased after you with chariots and charioteers. When your ancestors cried out to the LORD, I put darkness between you and the Egyptians. 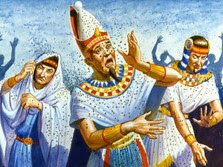 I brought the sea crashing down on the Egyptians, drowning them. With your very own eyes you saw what I did. Then you lived in the wilderness for many years. Finally, I brought you into the land of the Amorites on the east side of the Jordan. They fought against you, but I destroyed them before you. I gave you victory over them, and you took possession of their land. Then Balak son of Zippor, king of Moab, started a war against Israel. He summoned Balaam son of Beor to curse you, but I would not listen to him. Instead, I made Balaam bless you, and so I rescued you from Balak. Yes, God promised them to give the Promised Land with the vineyards and olive groves for food, though the Israelites did not plant them. What a blessing! Yes, God is always faithful and keeps His promise. We also need to truly faithfully follow God and His promise. God always wants to provide what he has promised and even more. Why does God always want to give more? This loving and generous heart of God is not much different from that of our human parents. Our human parents, although they are not perfect as God, always want to give something good, better and more to their children. Then how much more so for God, who is our perfect and ever-loving Father? Throughout his life, Joshua had experienced the loving God who was always faithful. Then Joshua opened up his mouth, and told them, “So fear the LORD and serve him wholeheartedly. Put away forever the idols your ancestors worshiped when they lived beyond the Euphrates River and in Egypt. Serve the LORD alone.” He himself experienced the power of idols, which was ever tangled in his life. In the end, the most formidable idol was himself. Joshua had never defeated by any enemies but himself. He escalated himself higher than God, and then fell. The most important one in his life was to serve God alone. 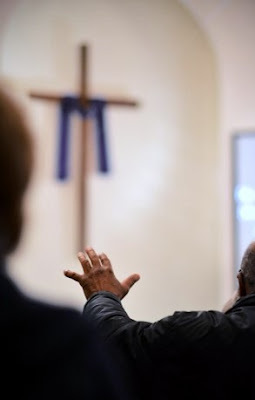 He concluded that “But as for me and my family, we will serve the LORD”, which was his true confession and faith that was gained out of the lifelong lessons before God. Joshua was the champion among the entire Israelites in faith in God, but he also struggled before his sinfulness. The true answer was not far away. 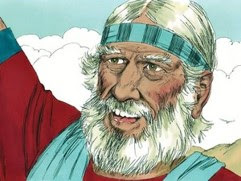 He could summarize every struggle, victory in God to one sentence, “But as for me and my family, we will serve the Lord.” He fought against the sheer impossibilities in the name of God while leading the people Israel, because his heart was always and completely fixed on God and serve Him in all situations. Faith -- Victory after Victory in Faith Through Him! Joshua was finally ready for the greater God’s plan, which led the Israelites into the Promised Land. Initially, his great faith alone was not enough although he had the greatest faith among the entire old generation of the Israelites. 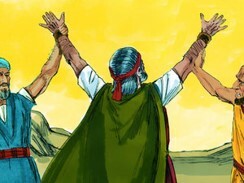 In fact, Joshua and Caleb were only spies who reported the God’s promise and faith to take over the Promised Land. The other ten returned with what they saw and were in fear of the people in the Promised Land, who were stronger and even there were formidable giants of the descendent of Anak. 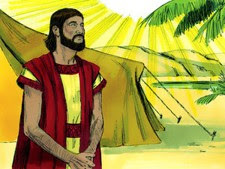 However, Joshua and Caleb were not deterred by what they saw in faith of God’s faithfulness while trusting His promise. Due to the unfaithfulness, God sent them back to the wilderness. 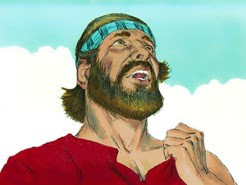 Joshua, as a result, had to endure another thirty-nine years in the wilderness while waiting for the Promised Land. Joshua could have blamed the others who did not trust God, but he did not. Instead, Joshua held tight the promise of God for the next thirty-nine years. 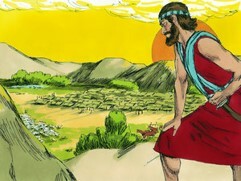 Joshua had to go back to the wilderness due to the unbelief of the others. Not blaming them was very hard, but he endured the first year. There was no sign to go back to the Promised Land. He endured anther year in the wilderness. He dreamt the Promised Land every night. The full two years were gone. Still there was no sign that God’s promise would be fulfilled. He had to endure again another year in the wilderness. At the end of that year, there was no sign of returning to the Promised Land. Year after year, no change at all. Slowly he was aging, and his peers were dying out one by one in the wilderness. 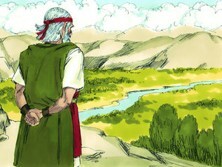 Even so he could not see any sign of going back to the Promised Land. If we were Joshua, how many years could we endure without losing the hope of returning to the Promised Land? At the end of each year, we could see no sign of getting back to the Promised Land. It would be very tempting to question God’s promise, whether it would be real or not. There had been no sign at all for years, not just a coupe of years, but tens years. Our bodies started aging, but the promise had not come in spite of his hope in God. Joshua was different. His faith must have been really great and bigger than us and anyone of the Israelites. He endured thirty nine years with one single hope that God would bring him back to the Promised Land. Surely, God saw Joshua’s faithfulness not being deterred by what he saw and the peer pressure. And God appointed Joshua as the leader of the entire Israelites of the new generation. Joshua proved his faith before God. He was the best among the Israelites. Joshua, however, soon fell. Yes, he fell, during the initial phase of his leadership of the entire Israelites of the new generation. Joshua, who was certainly the most qualified in faith, did fall. Not just one, but twice. His fall brought him great pains and shame before his own people, whom he led. However, God used them as the greatest opportunity to strengthen Joshua and his faith. Through the painful and shameful failures, Joshua learned and realized that his own self was the most formidable enemy. Joshua was able to overcome the peer pressure and patiently waited for thirty-nine years in faith, but indeed, his great enemy was Joshua himself. The great faithful was powerless before his ego, which was in the way between God and himself by placing He wisdom ahead of God. Soon Joshua himself became his own god. Before the king, nothing could stand including God. Without knowing, he steered his own future by relying on his own decisions without no communication with the One and Only One God. Joshua’s greatest faith powerlessly knelt down before Joshua’s ego. Even so, God was with Joshua. God let Joshua fall. The fall was the only remedy of the dire situation that Joshua, the faithful, was hostaged by his own ego. Again God was Joshua, and let Joshua fall twice and experience the pains and shames. Joshua was also great. After two falls, Joshua could take off his sin which ever clang so closely. This is the greatness of Joshua. How many falls do we need? Yes, taking off our sinful nature so tightly clinging to ourselves requires a strong measure – a really painful and shameful fall or falls. Joshua needed only two dozes of the falls, but they were painful and shameful. Completely shaping Joshua as God wanted did not come easily because God’s plan for Joshua was greater than Joshua could handle. 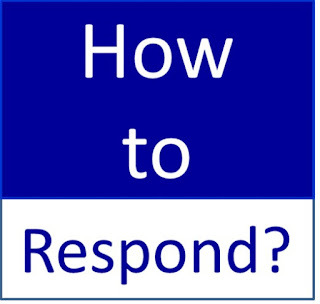 However, as soon as Joshua was ready, God quickly mobilized Joshua. The God’s great plan started unfolding. When King Jabin of Hazor heard what had happened, he sent messages to the following kings: King Jobab of Madon; the king of Shimron; the king of Acshaph; all the kings of the northern hill country; the kings in the Jordan Valley south of Galilee; the kings in the Galilean foothills; the kings of Naphoth-dor on the west; the kings of Canaan, both east and west; the kings of the Amorites, the Hittites, the Perizzites, the Jebusites in the hill country, and the Hivites in the towns on the slopes of Mount Hermon in the land of Mizpah. All these kings came out to fight. Their combined armies formed a vast horde. And with all their horses and chariots, they covered the landscape like the sand on the seashore. The kings joined forces and established their camp around the water near Merom to fight against Israel. The entire land was ready to fight against Israel. Joshua fully ready for God’s plan asked God first, and God answered, “Do not be afraid of them. By this time tomorrow I will hand all of them over to Israel as dead men. Then you must cripple their horses and burn their chariots.” Of course, Joshua’s armies were far less than the combined armies covered the landscape like the sand on the seashore. After hearing God’s answer, Joshua and all his fighting men traveled to the water near Merom and attacked suddenly. God, who fought for them, gave them victory over their enemies like the sand on the seashore. The Israelites chased them as far as Greater Sidon and Misrephoth-maim, and eastward into the valley of Mizpah, until not one enemy warrior was left alive. Then Joshua crippled the horses and burned all the chariots, as God had instructed. Joshua faithfully heard God’s command, and He exactly followed as God told Joshua. 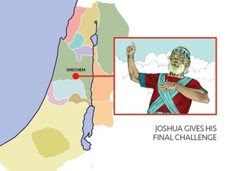 So Joshua conquered the entire region—the hill country, the entire Negev, the whole area around the town of Goshen, the western foothills, the Jordan Valley, the mountains of Israel, and the Galilean foothills. The Israelite territory now extended all the way from Mount Halak, which leads up to Seir in the south, as far north as Baal-gad at the foot of Mount Hermon in the valley of Lebanon. Joshua killed all the kings of those territories, waging war for a long time to accomplish this. No one in this region made peace with the Israelites except the Hivites of Gibeon. All the others were defeated. For God hardened their hearts and caused them to fight the Israelites. So they were completely destroyed, as God had commanded Moses. During this period Joshua destroyed all the descendants of Anak, whom the Israelites feared most because they were giants and had never been defeated. The original first ten spies, whom was sent thirty-nine year ago to the Promised Land, spotted the descendants of Anak. Then they were completely melt in fear of the giants. The spies reported that they would be looked like grasshoppers before the giants. The giants were one of the key reasons why the first ten spies blocked the Israelites going into the Promised Land. Now, Joshua boldly chased the giants, who lived in the hill country of Hebron, Debir, Anab, and the entire hill country of Judah and Israel. With the power of God, Joshua killed them all and completely destroyed their towns. None of the descendants of Anak were left in all the land of Israel. The God of Israel fought for His people, and there were no more fearful giants. 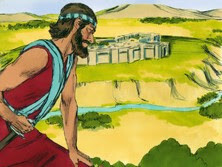 So Joshua took control of the entire land, just as God had instructed Moses. He gave it to the people of Israel as their special possession, dividing the land among the tribes. So the land finally had rest from war. This was what God did for Joshua and Israel. Not because Joshua and his people were mightier than the people in the land, but because they trusted God and His promise. Are we truly ready for God’s greater plan? If not yet, we will sooner or later go through God’s training course. Please note that we make us go through the course by own fall caused by our self filled with our own ego and earthly desires rather than seeking His glory, and carefully following His plan. Yes, the training course brings pains, hardship and agony. In fact, some of us are already in this course now. How can we, then, shorten the period of God training? First, we respond in hope in Him, and in the hope, we overcome the pain and hardship with the power of the Holy Spirit. Then stand firm in faith like Christ who endured the cross, disregarding its shame and pain because of the joy awaiting Him, which is not for Him but for us. That is, the victory in God for all of us in our earthly lives, challenges, pains and hardships, as well as in Heaven for our eternal joy and praises in Him forever! Therefore, we can declare our victory over our falls, pains, hardships in Christ. This is the triumphant moment in Him. Praise, honor and glory to God, who is always patient and merciful to us especially in the mist of our pains and hardships due to our own fall. d over him. Yes, Joshua suffered, but this was not the end of the story. God comforted, and the might hand of God always surrounded and protected Joshua in the mist of his troubling period. The goal was not to punish Joshua, but to make Joshua even stronger in faith before God. In fact, God had a grand plan for Joshua. It was a part of God’s plan -- letting Joshua experience the failure and the true nature of his ego, which could be bigger than God. At that time, nobody could match Joshua’s faith, but Joshua failed miserably. After two big falls inflicted, which was inflicted by himself, Joshua clearly realized the power of his own ego, its sinfulness, and its consequences. We all know that Joshua’s huge victory over Jericho was actually given by God. Yes, Joshua hardly fought against Jericho. He just circled the Jericho wall for seven days, and shouted and blew the horns in faith. Then God Himself fought for Joshua and the Israelites. 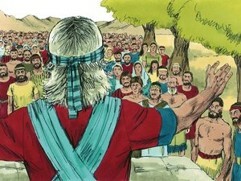 However, after the huge victory, the faithful Joshua was deceived by himself. Right after the huge victory, he looked at Ali. it was much smaller than Jericho. It looked so easy to take over. Then without knowing what he was doing, he made a plan by himself how to attack Ai without asking God. It was the beginning of his fall. It must be very difficult for Joshua to ask God first after the huge victory. Why? Let’s ask to ourselves. We think we know, and we want to steer away our own life. That is, we want to be our own boss, and make our own decision. In reality, this process actually make us a slave to our own ego and pride, which demands more and more till we are completely exhausted. On the other hand, being a slave to God actually liberates from falling, failing and sinning before God because we are in His infinitely good hands. How subtle is the temptation of being our own master? Joshua, such a faithful person, had failed twice. Then how vulnerable are we? Our failure is God’s opportunity. In His unfathomable love, God is patiently working hidden behind the scene. Like a parent who dearly loves, when absolutely needed, God carefully let His children go through falls and failures for us to feel the pains and the terrible after-taste of sins. God never allows for His children to be completely destroyed, which is not His purpose. Though the falls and failures, God continue leading us to grow into Him and increase our faith. Bible tells us, “And God is faithful. He will not allow the temptation to be more than you can stand. When you are tempted, he will show you a way out so that you can endure.” (1 Corinthian 10:13b). Yes, God always provides a way out so that we can endure so that we can go through our pains, sins, falls and failures. Then why we cannot see His hand in the mist of the pains and falls? When we need most, God seems not there. A formidable storm hits so hard that everything that we have including relationship, possession, even faith is failing and falling off, but God seems not there and He seems not care. No, it is not true. God, who is infinitely good, never has done this to us. It is just our feeling, and the voice of our own fresh which is in pure desperation, being grinded by God’s mighty hand in order to be shaped properly, and ready and upright before God. 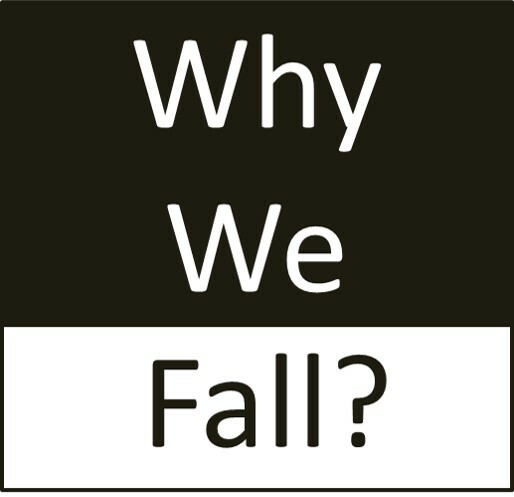 Then why do we fall ? Because we were higher than we supposed to be. If not, no way to fall because we are already at a safe place where we supposedly be or at the bottom. However, we are fall, and fall again and again in our lives. This vicious cycle tells the truth that we are at the place that we should not be. Also our repetitive falls makes us feel miserable. However, the first thing that we want to remember is that we should not feel miserable. Every fall in our lives leads to God, and which in turn make us learn more about God and experience Him. This is the real truth about our fall behind the scene. Sure. At the time of fall, we feel miserable and even desperate. Don’t be discouraged because God is behind the scene for us. Thus, we should not be despaired nor disappointed. Feeling miserable is the first step. That is an essential ingredient. 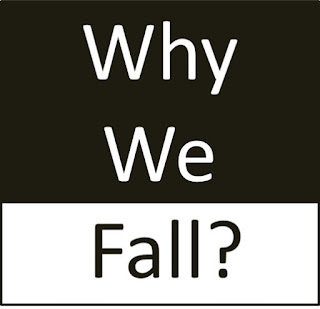 If we don’t feel miserable at our fall, then it is a really serious problem. There is no hope to see God in the misery. Thus, when we feel miserable, please remember God, who works behind the scene, and give thanks to God for Him to be there with us. Ironically, it is true that if we don’t fall, we don’t learn. Our miserable pain is the very power that makes us swim against our nature made of fresh and ego. 1. God let us to go into our fall so that God can use it to make us know more about God and go into a deeper relationship with God. 2. The specific fall is that God has specially designed for us. Additionally, it is harder and more difficult than anything that we had experienced before. Mysteriously, our fall is a part of God plan for us to learn and grow in faith. 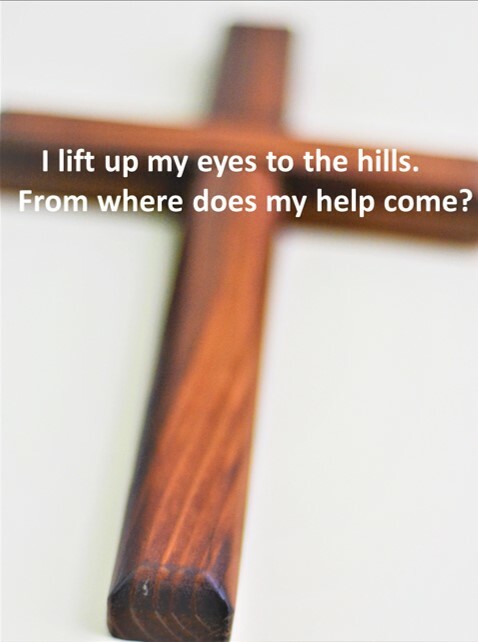 In need, we inflicted our fall, but God uses it to fulfill His good plan for us. Our fall and associated pain is not a punishment, but God’s love toward for us. 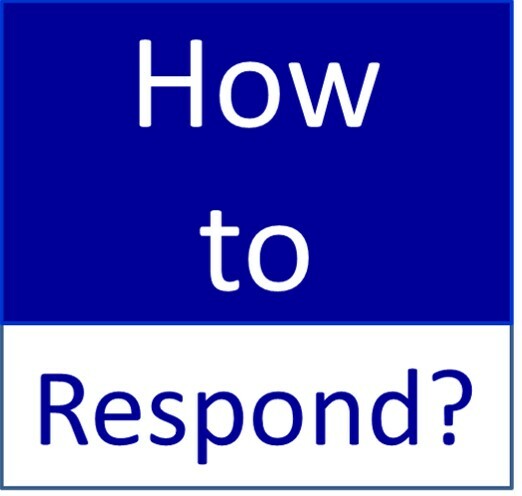 Then how to respond to our failure and pain? Rejoice because it is the very moment that God can freely mold us without any hindrance. At the fall, we are scared. Our Ego immediately ran away to hide. Our God’s loving hands are completely freed so that His hands can work on us by molding and transforming us. Our painful heart is fully open to God. This is the best time for God to build us following His plan. What we dearly value most in our lives might be chipped away by His mighty chisel. Our mouth might have to swallow a bitter pain. We may be forced to embrace what we don’t like to embrace. Yes, nothing is pleasant at that time. Going thought it alone is literally impossible. Nobody can endure by own self. Here is a fantastic news. This is the time that God’s love manifests most strongly. God, who dearly loves, stretches His mighty and loving hand, and hold tight us so that we can go through the fall and pain. Although it comes as a life storm, we can sail through with Him with the power of the Holy Spirit. 2. Fully and truly recognize God, who dearly loves us. 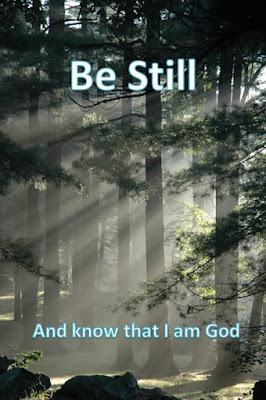 Is it easy to be still, and fully and truly recognize God especially when we are in a life storm? No. Absolutely not. We love to be at the helm of our own life small ship in a huge storm to continue steering away from the storm. On the contrary, in fact, we are getting deeper into the storm, although we might temporarily feel opposite. This is the time that releasing absolutely everything in our life to God. This is the first step. Then fix our eyes on Him in faith, and trust God, who is infinitely good. Our fall, failure, pain, disaster, hardship is so severe that there is no word to explain at that time, but God’s love is surer and always. Why? We are God’s beloved children. God will never give up His own children. God’s unfathomably strong love was already demonstrated at the cross where He scarified Jesus Christ, the only son, for us. This is the reason why we can rejoice in our fall, failure, pain, desperation and our formidable life storm. This is the triumphant moment in our lives in faith. It is, in turn, the unforgettable moment that we have just received our passing grade before God, which God dearly wants for us to have.